Our goal at A+ Total Care is to assist you in preparing for your visit so you receive the care you need promptly and efficiently, whether you’re visiting us for urgent care, family care, specialty care, or occupational medicine services. A+ Urgent Care is a walk-in medical clinic that accepts patients on a first-come, first-served basis. You can check in online using our ZipPASS® registration to see the next soonest available opening to schedule a time that works best for you. A+ Family Care is not accepting new primary care customers at this time and currently will only be serving established patients. Established A+ Family Care customers should call 775-777-7587 to schedule an appointment. A Plus Occupational Medicine customers should call 775-777-7587 to schedule an appointment. See our A+ Specialty Services list of providers page and call the specialist’s phone number directly to make your appointment. A+ Urgent Care customers may walk in to our clinic without an appointment to be served on a first-come, first-served basis. 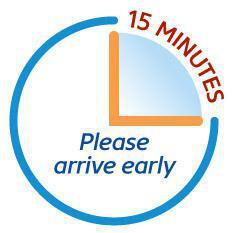 For all other service appointments, we recommend arriving 15 minutes early to complete the patient registration forms required for us to serve you. If you are more than 15 minutes late arriving to your pre-scheduled appointment, you may be given the option to wait for the next available opening time or have your appointment rescheduled. You can choose to complete the necessary registration forms ahead of time to email or bring with you during your visit. You can also fill out your information using online signup for those forms that display that option. Visit our Patient Forms page to view and download all forms related to your visit. Have questions about your visit? See our Patient FAQs page for frequently asked questions we receive from customers visiting our clinic. You can also give us a call at 775-777-7587, or email us using our contact form.